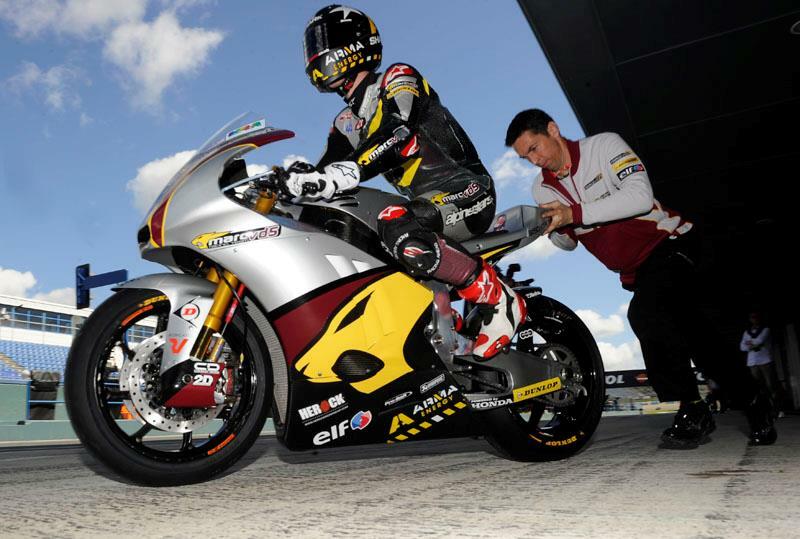 Scott Redding’s Marc VDS Racing boss Michael Bartholemy reckons it is imperative that the British rider mounts a serious Moto2 world title challenge in 2013 to boost his hopes of a switch to MotoGP next year. Gloucestershire rider Redding goes into the 2013 campaign in Qatar this weekend as one of the big title favourites. Sunday’s night race in Doha will be the start of Redding’s fourth in the Moto2 category and fourth in the Belgium-based Marc VDS squad and many believe it is a make or break season for the 20-year-old. Redding enjoyed his best ever season in Moto2 last year when he claimed four podium finishes in Le Mans, Silverstone, Assen and Aragon to finish fifth in the overall rankings. Redding himself has spoken of the need to show he can battling for the podium in every race in 2013 to prove he’s worthy of a place alongside Jorge Lorenzo, Dani Pedrosa, Valentino Rossi and Marc Marquez in MotoGP next season. He tested for Ducati last summer and though a deal never materialised, Redding has desires on a MotoGP move in 2014. To do that his current Marc VDS team boss Bartholemy said 2013 is a crunch year for Redding, who remains the youngest Grand Prix winner in history following his 125GP success at Donington Park in 2008. Bartholemy told MCN: “Now is the time when he has to show what he can do. Scott has big potential. Even when he made the MotoGP test with Ducati we can see the guy can ride this bike and he is fast. Bartholemy said he is confident Redding can pose a serious title threat in 2013 but he admitted that Spanish charger Pol Espargaro will start the season as the man to beat. Espargaro, who was the only rider capable of consistently challenging Marc Marquez in 2012, has dominated the winter testing schedule in Spain and he will line-up in Qatar as the overwhelming title favourite. Bartholemy added: “Sure he (Espargaro) is the benchmark and you can see he has a lot of confidence. He thinks he is going to be world champion but honestly it is not so bad being second but we have to be right up there with him. I am confident. I think the biggest improvement we have seen in testing is that Scott is fast again in the wet. Last year we probably lost third place in the championship because we had some bad results but now in the wet he is always right there against people like (Johann) Zarco who are normally fast in the wet. This is a big improvement and can give us confidence because if we have some races in the wet then we know we can score big points. For exclusive reaction from Redding after the first race in Qatar, see the April 10 issue of Motor Cycle News.